Build a better tower with our beginner's guide. 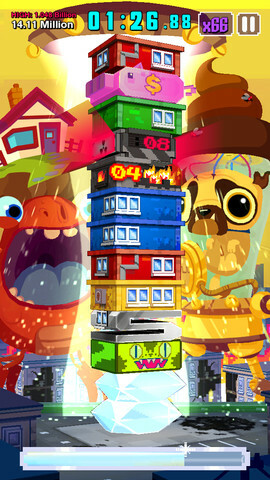 Have you caught the fever for the latest version of Adult Swim's crazy tower game, Super Monsters Ate My Condo!? We reviewed the game earlier today and awarded it a very well-deserved 4.5 stars out of 5. Here's everything you need to know to start racking up those points. What do the different monsters do? 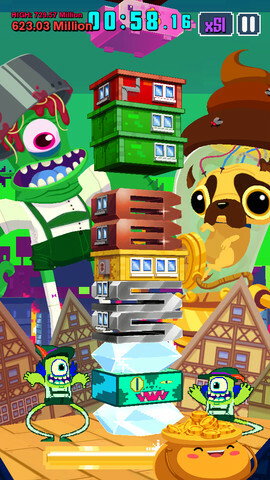 Each of the monsters in the game has a special power which you can activate by feeding them one of the bronze, silver, gold or diamond condos you win for matching up three construction blocks. Here's the low-down on each one. This red monster is a giant crab created in the aftermath of a radioactive spill. Not to worry though, he has the ability to slow down time, put monsters to sleep, and prevent bombs from ticking down. Don't be afraid to use him if things are getting even more out of control than usual. A real game-saver. Mr Shigoto is the green monster of the game and confers the ability for you to create two upgraded condos, rather than just one, from each match-up. Activating this power is a good idea if you have a decent run of matches coming up, and you want to gain a combo fever. As well as temporarily preventing your precarious tower from completely falling to pieces, this blue character will cause you to receive twice as much money from piggy-banks, clocks and condos. He may not look all that intimidating but the yellow Lord Ferocious allows you to activate a whopping 10X multiplier on your scoring while the action lasts. If your chasing a friend's high-score but you're running out of time, unleash this puppy for some serious scoring. What do the special condos do? 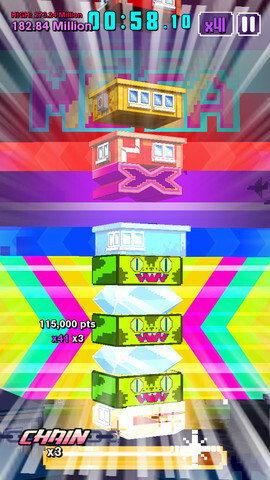 As well as the usual match-ups, you also need to work with some special condo blocks that will appear during gameplay. Here's all the information you need to know about them. These are the items you need to activate monster powers, and are created from match-ups. If you want to get an even bigger effect from the monster power, feed the higher value upgrade condos to them. You can't flick this towards the monsters for them to eat, but they will disappear if included in a chain of color block match-ups. Annoying, but on the bright side they're still worth 10 points, plus your active multiplier. 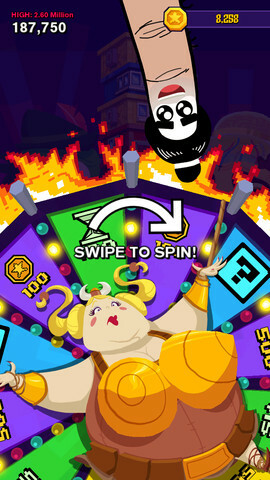 You can't swipe these out of the way and they'll tick down towards an explosion that will rattle your precarious tower. They can be removed by matching condo units above or below them, so act fast or use Boat Head's power to buy yourself some precious thinking time. You must destroy these otherwise it's the end of your game. Either use Boat Head's reset power to stay on top of the problem, or create a match above or below this condo unit. These tricky units will melt through the condo below it when the timer reaches zero, so act fast to protect your precious creations. If your fingers are fast enough to match-up five or more condos in one go, you'll receive a Piggy Bank! You need to match these together to get some serious money, as swiping them into a monster means you'll only receive one coin. These are great for extending your two-minute match time with. Self-explanatory really, these are great for increasing your multiplayer if you can bring them into play by creating multiple matches. These are incredibly handy for increasing your condo upgrades. 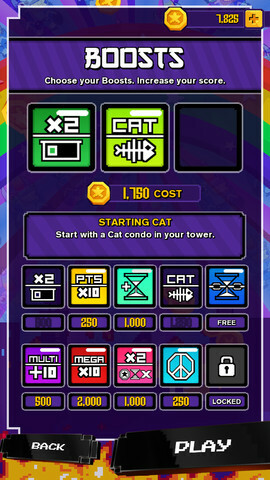 If you have a set of bronze condos that are about to turn silver, adding a cat to the mix will take you straight up to gold. Applies Mr Shigoto's power for the first 20 seconds of the game. Applies Lord Ferocious' power for the first 20 seconds of the game. Adds 30 seconds to the clock before you start. Nice! Adds a cat tower to your condo before you've even started. This is a great way to get Diamond condos into play nice and quickly. Instead of having just two seconds to enlarge a combo, you now get three. Simple enough, this adds a +10 boost to your starting multiplier. Make it to the Mega Zone and you'll receive the benefit of Lord Ferocious' powers for the first 15 seconds. Doubles your Piggy Banks, Clocks and Multipliers for the first 30 seconds of the game. If the action's all a bit too much, using this boost will stop the monsters getting angry, and also stop the timers on bomb, nuke and acid condos.